Paul Revere Williams was the first African American to become a member (1923) and later a fellow (1957) of the American Institute of Architects. Thirty-seven years after his passing, Williams continues to break new ground: in 2017, the AIA awarded Williams its highest honor, naming him the AIA Gold Medal recipient. Williams was one of the 20th century’s most prolific American architects, with nearly 3,000 building projects attributed to him. His portfolio includes hospitals, schools, corporate buildings, churches, civic institutions, and various military commissions. However, Williams is best known for his residential work and was widely regarded as an expert on housing during his lifetime. He began his career by building a name for himself as an authority in small home design. Later, his practice tapped into a growing client base: a rising upper-class looking to establish homes in newly formed neighborhoods across Los Angeles county. Eventually, he was designing large estates for affluent leaders in the L.A. economic and political scene long before being commissioned by the movie stars his career is marked by. Later, when housing shortages were plaguing the nation — particularly in cities like L.A. — Williams lent his expertise to a number of highly publicized public housing and defense worker projects. Regardless of size or budget, Williams had a reputation for delivering sophisticated yet comfortably-scaled and livable home designs. His imprint on the southern California landscape (and beyond) is vast and substantive. At the height of his career, Williams enjoyed a degree of mainstream success that would be enviable by any practitioner of his day. Though the significance of his professional achievements can stand alone, they typically don’t. Paul Revere Williams’s story is often framed (and at times sensationalized) by the obstacles he overcame. These odds involved navigating racial bias in a non-inclusive profession, segregated city, and racially divided country. Thus, over and beyond his professional accomplishments, many are drawn to the biography of Paul R. Williams as his life’s work responds to a question that sadly remains relevant today: how does a young black practitioner start and sustain a successful architectural practice dependent mostly on white clientele? While his career should not be translated as a blueprint for success, it does provide a critical lens for considering the intersection of race, identity, and architectural practice. The hope of this reading list is to provide a primer of reliable, well-documented sources on Williams. It is also a call to action to gather, share, analyze, and recover as much as possible about the man and the architect. The sources on this reading list have been selected as foundational information for scholars interested in furthering research on Williams’ work. Entries in the first section take a comprehensive look at the life and career of Williams, followed by a selection of Williams’ own writing. The final section offers a few sources that provide background for interpreting the social and professional context of his career. This website currently provides the single most comprehensive source of published information on the life and work of Paul Revere Williams. The project is described as “a collaboration of individuals and organizations in which AIA Memphis and the University of Memphis are the core institutions.” The site offers three key features: a photographic gallery, timeline, and annotated bibliography. The timeline is robust with information about key events, buildings, and historical context surrounding Williams’ career in narrative form. However, it’s the annotated bibliography that proves an incredible gift to researchers on Williams. Organized by subject, it contains over 2,200 entries. Henderson’s dissertation is one of — if not the — earliest in-depth historical examinations of Williams’ career and remains an important source of primary sources not found elsewhere. Particularly valuable are Henderson’s interviews with former employees of Williams’ firm, Ernest Jacobs, Elliot Welsh, and Ralph A. Vaughn. The dissertation focuses on an analysis of Williams’ career rather than formal aspects of his design work. He outlines its formation and studies Williams’ relationships with peers, clients, and the African American community. It is one of few works that seeks to understand how racial identity impacted Williams’ architectural practice, beyond the obvious and superficial. In doing so, Henderson also challenges normative frameworks for identifying success in architectural practice. While the Paul Revere Williams Project may be the most recent and comprehensive source on Williams, the work done by his granddaughter is perhaps the most well-known. Organized chronologically, it offers a photographic walk through Williams’ career interspersed with anecdotal stories about Williams and notes from his own writings that all help to shed light on the man and the architect. PRW Career Mapper is a web-based data visualization tool created for researching patterns in the career of Paul Revere Williams, FAIA. The site compiles previously published lists of Williams’ building projects and maps them based on date, location, use, and client type. The timeline and map features are interactive, allowing users to filter their searches. The goal is to offer researchers a means of exploring the trajectory of Williams’ career. Using the PRW Career Mapper, it’s possible to identify distinct periods of activity in Williams’ career based on a marked difference in volume and diversity of projects. The database displayed by the site is by no means complete. PRW Career Mapper is intended to serve as a living document under continuous revision. Suggestions, corrections, and additions are welcome. The podcast discusses the impact of Paul R. Williams’ work as an architect on Los Angeles. Those interviewed during the podcast include architect Phil Freelon; Karen Hudson, Paul Williams’ biographer and granddaughter; and Leslie Luebbers of the University of Memphis. This article discusses three of America’s most notable black American architects: Julian Francis Abele, Hilyard Robinson, and Paul R. Williams. Williams’ body of work is examined on pp. 3-4. Max Bond interned for Williams’ firm in 1957. While this article is not long, it offers one of the few existing critiques of Williams as a designer. The need for more public housing was anticipated prior to the end of World War II. A new vision for mass-produced affordable homes for the working class became of central interest to modern architects. During this time Paul Williams reasserted himself as a premier expert on small home design. He published two books on the subject, The Small Home of Tomorrow (1945) and New Homes for Today (1946) with book reviews appearing in professional journals and design magazines, including Architectural Record. In these plan books, Williams welcomes the disappearance of the formal street-facing living room. Instead, his plans are characterized as much more open with a fluid transition between interior and exterior through a series of informal den spaces that give way to rear gardens or terraces. In contrast to much of his previous work, but in alignment with modernist taste, the homes have flatter roofs and less ornament. New Homes for Today (1946) is the second of the two books that Williams published on small home design outlined above. In this candid autobiographical essay, first published in American Magazine in 1937, Williams considers the impact of his racial identity on his life and early career. Eventually, he expands beyond personal introspection to discuss his beliefs on race relations and social progress in the U.S. The article was met with mixed reviews within the African American community. However, it is critical to note that the primary audience for this article, given the readership of the magazine, would have been white. An edited version that removed Williams’ most controversial statements was reprinted by Ebony in 1986. At the age of 69, Williams wrote an inspirational essay speaking directly to African American youth, published in the August 1963 issue of Ebony Magazine (no. 59). He reflects on his beginnings, and offers advice for those interested in getting started in the profession. The article underscores Williams’ keen awareness of national housing trends and values rooted in pragmatism and economic progress. Though Paul R. Williams was the most visible African American architect in the nation at the time of his practice, he was most certainly not the only one. Other successful practitioners like Albert Irvine Cassell, Vertner Tandy, and Hilyard Robinson did not receive the same attention in mainstream media (though they were well known and praised in the African American press). When comparing Williams to his African American contemporaries, one quickly notices that their career paths were substantially different. These East coasters were often formally educated architects,and in addition to practicing, were on the teaching or administrative staff of early HBCU architecture programs. This volume presents a survey of African American architects, providing for each a biographical summary, and list of built works. Wesley H. Henderson provided the summary on Williams. The first four chapters of this book are particularly relevant in providing context for African American life in pre and postwar Los Angeles. Cuff examines “urban transformation through the architecture and land development of large-scale residential projects” in Los Angeles. In particular, the first five chapters describe the significance of the LA housing scene. Later, chapters 37 and 39 focus on Postwar Housing. This work has been selected for its effectiveness at summarizing both the physical and political implications of L.A. housing developments while offering a critical lens for interpreting these practices. With the benefit of time and hindsight, a reconsideration of Williams’ significant contributions to public housing projects against Cuff’s assertions provides a new and hardly tapped ground for continued scholarship. An Architectural Guidebook to Los Angeles originally was produced in the 1960s when a major architectural symposium was scheduled for the Southland, and there was no local guide. Revised and expanded many times since, the 5th edition is the one book that anyone interested in local architecture and architectural styles should have. The Guide is arranged by geographical area so that neighborhoods can be explored by car or by foot. 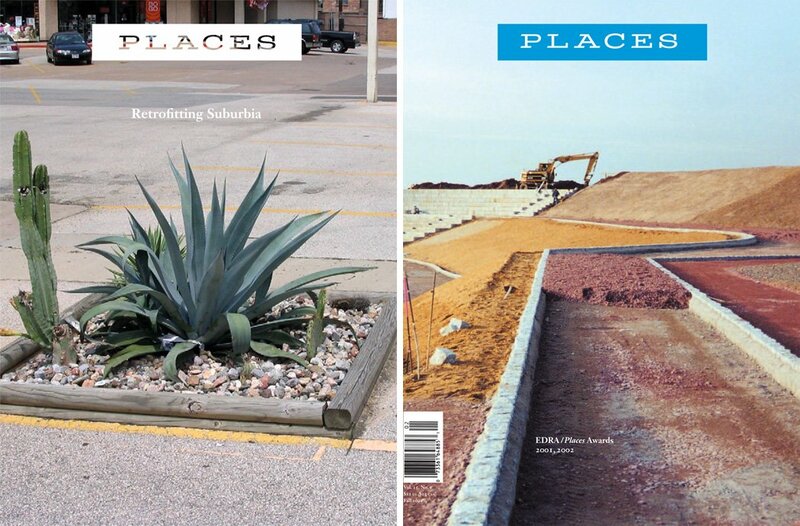 Also included are essays on the histories of L.A. architecture, historical preservation, planning, and landscape architecture.